Blaston Show was again blessed by the weather gods, glorious weather creating a booming trade for the ice-cream and Pimms sellers. Spectators flocked in, despite an apparently key football match taking place in Russia, and they weren’t disappointed. The 1946 – 1996 category winner was classic car collector Robin Rest’s 1952 Willys Jeep. In superb condition, the Jeep boasts a fitted sling containing a (decommissioned) Lee Enfield rifle along with explosives flags and the original shovels, complete with their canvas bags, in the back. Next week the Jeep heads off to live in France and will be taking part in the 75th anniversary Normandy landing celebrations as well as joining a run in August commemorating the Americans progress through France in World War II. Other notable entries included a Citroen Traction Avant, a model which featured in countless French resistance films, Maigret and the Sound of Music. There was also, in the words of Blaston commentator Andrew Bishop, probably ‘the best Aston DB5 on the road’, belonging to Robert Wilkinson. The classic tractor parade was equally well supported, with tractors of all shapes, sizes and vintages contrasting sharply with the vast modern farm machinery also on display. The Blaston & District Agricultural Show Society members believe that public education is key, hence the Modern Farming Display which provided an insight into the way that today’s farmers farm. The Young Farmers were out in force, not only featuring in the Tug of War and Bale Rolling but also taking part in Fence Erecting and Stockman of the Year competitions. Lynda Burditt and Gerry Wright were in charge of judging the numerous cattle classes, while Gordon McWhirter, Ken Cartwright, Carol Mudimer, Alan Mudimer and Joan Riddell were kept busy at the Sheep and Lamb Show. There is always a wide range of livestock at the show, including Maurice Brown’s charming pygmy goats who are regulars at Blaston. There were good entries in the equestrian classes, with young and old, large and small represented. The schedule offers something for all riders from showjumping to showing, fancy dress, heavy horse, gymkhana games and a Handy Pony competition run by Riding For The Disabled. Still on an equestrian theme, Pip Read and Stuart Shorting from Downham Market brought Connor and Billy, two of their five shire horses, to give a fascinating demonstration covering the history of these working horses. Other main arena displays included both the Westerby Bassets and the Fernie Hounds, again with interesting and informative commentary. The Dog Show is always well supported, and this year was no different – although perhaps the most competitive canine competition was the Terrier Racing. After some hugely close run heats the eventual victor was Pinkfoot, owned by local equine vet Alex Knott. Food vendors and a wide range of tradestands offered something for all shoppers, there was plenty of children’s entertainment and even the appearance of Aldabra Giant Tortoises. Hallaton Primary School’s art competition and exhibition was as good as ever, this year’s “100 years of the RAF” themed works framed by On the Edge. Boosting the feelgood factor even further, Blaston Show donates significant sums to charity each year. This year’s main beneficiary is Rainbows, a hospice for children and young people suffering from life-limiting conditions. Funds will also head to VASL, a charity which provides a wide range of services to local people in need. 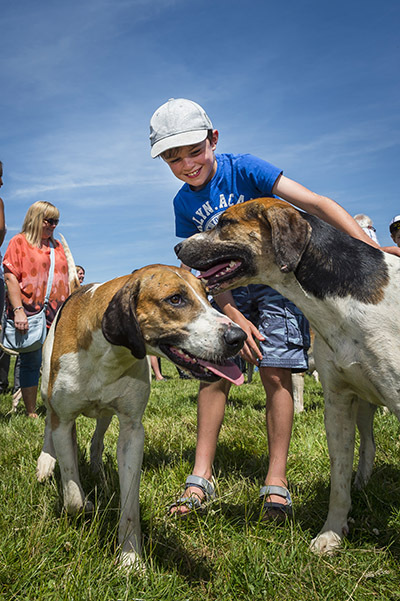 The associated Hound Show, which this year moved even closer to the main Blaston Show, was also well supported. 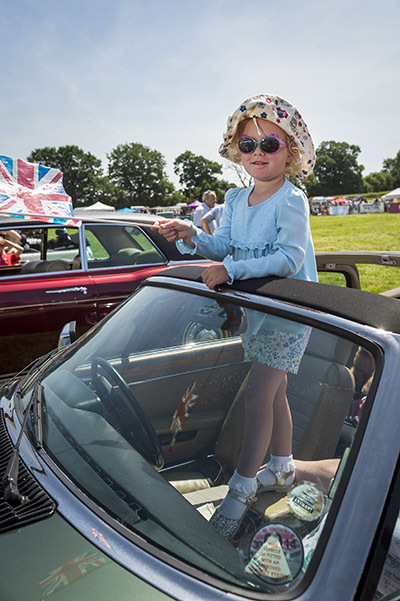 Thoughts now turn to the 62nd Show which will take place on Sunday 30th June 2019.